We Offer Full Eye Care Services in Woodbury, Long Island! Set within the town of Oyster Bay in Nassau County, Woodbury is a quaint hamlet of Long Island. Only a short 35 miles distance from Midtown Manhattan, Woodbury offers plenty of tranquil nature alongside the lively metropolitan and cultural attractions of New York City. The climate fits right into coastal Northeast America, with wet, cool winters and warm, humid summers. Smack in the middle of this rural community is Lake Tiorati, a New York State Park, where you can spend a full day swimming and boating. Water lovers will appreciate the many yachting centers and kayaking sites located within a short, scenic drive from Woodbury, NY. A pleasant breeze generally blows in from the Atlantic Ocean during summer afternoons, making this a comfortable place for vacation outings. Although Woodbury is a very family-oriented society, the modest size of this neighborhood does not qualify for a separate school district. Residents attend the Syosset Central School District, along with families from many other adjacent communities. Convenient transportation is provided by the Long Island Rail Road, as well as by the Nassau Inter-County Express bus lines. Visit Our Woodbury Eye Doctors Today! 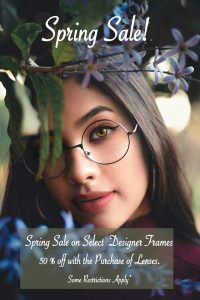 With our Long Island office reached easily and quickly from Woodbury, NY, Optix Family Eye Care invites you to take advantage of our full range of expert eye care services. We strive to help you achieve sharp vision and healthy eyes in our modern, comfortable clinic. Comprehensive eye exams for adults and thorough pediatric eye exams, along with the advanced iWellness scan, are performed by our professional, knowledgeable optometrists. With top-notch technology and the latest diagnostic tools, we’ll assess visual acuity and inspect for signs of eye disease, such as macular degeneration and glaucoma. If you suffer from the irritating symptoms of dry eyes or computer vision, we’re pros at evaluating your condition to offer genuine relief. If you’re tired of wearing eyeglasses or dealing with contact lenses, ask us about orthokeratology! We’ll meet with you to determine if you’re a good candidate for ortho-k, and we’ll perform your contact lens fittings for this revolutionary method of corneal vision shaping. Our eye doctors also offer preoperative consultations for LASIK and full co-management for LASIK and other refractive surgeries. 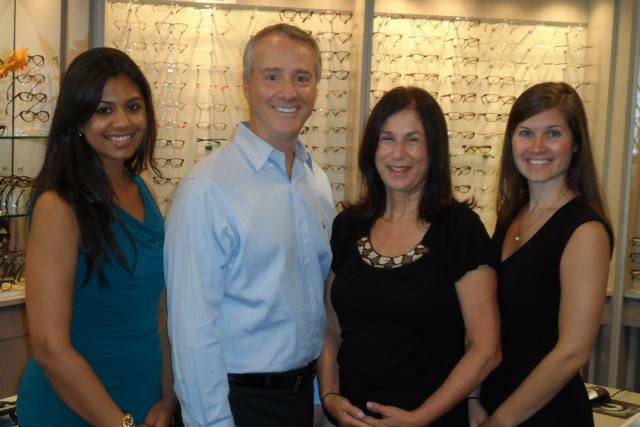 Serving patients from Woodbury and all of Long Island with first-rate eye care and eyewear, our friendly team can’t wait to see you!